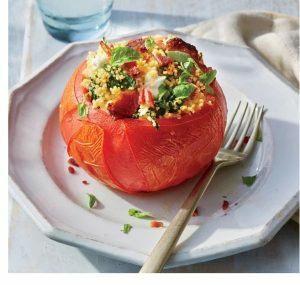 There are still plenty of plump ripe seasonal tomatoes to pick up at the farmers’ market – which makes it a perfect time to try this recipe for Bacon-Spinach-and-Couscous Stuffed Tomatoes I found from the fine folks at Southern Living magazine. Find the recipe for Bacon-Spinach-and-Couscous Stuffed Tomatoes from Southern Living here. See all the other great recipes and fun feature from Southern Living here. Lost Cowboy is powered by	WordPress 5.0.4 and delivered to you in 0.873 seconds using 40 queries.